Merchants’ trade customers may be interested in the Apprentice Decorator of the Year competition, sponsored by Crown Paints, which is looking for the nation’s best painters and decorators from colleges across the UK. It is said to be a landmark year for the competition’s sponsor, as Crown Paints has now been supporting the contest for 40 years. The company has a full calendar of activities planned to mark the milestone, from special training days at Crown HQ to exclusive offers and deals via its network of 150 Crown Decorating Centres. 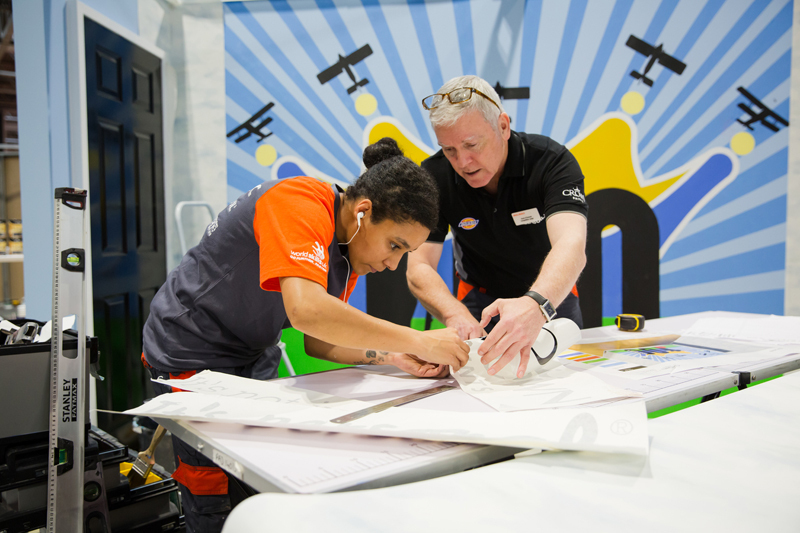 Apprentices will soon be taking part in one of 11 regional heats of the competition, which is organised by Worldskills and the Construction Industry Training Board (CITB), together with other industry leaders such as British Gypsum. Despite its long history, the main element of the Apprentice Decorator of the Year competition has remained the same: testing apprentices on their decorating technique, accuracy and attention to detail. The designs are carefully created to test multiple skills and have changed over the years to mirror the fashions of the time or key events, such as last year’s design inspired by the 100 year anniversary of the end of World War 1. Last year’s ‘gold’ winner, 22-year-old Aiden Dearie of City Building Glasgow’s Queenslie Training College, was chosen after a gruelling three-day challenge at the WorldSkills UK LIVE event at Birmingham’s NEC. The 11 regional heats began at Belfast Metropolitan College on 22 March and will conclude at South Devon College on 13 June 2019. The final will be held during this year’s WorldSkills UK LIVE, at Birmingham’s NEC over three days from 21 – 23 November 2019. It is said to be the largest multi-trade competition in the UK for construction trainees and apprentices and covers a range of skills and sectors from bricklaying and cabinet making to plastering and stonemasonry. Ben Deer, Assistant Judge and former Crown Paints Apprentice Decorator of the Year winner, said: “I’m looking forward to meeting the next crop of talented apprentice decorators over the course of the competition, and I’m excited to see what Crown has up its sleeve for the 40 year anniversary of its sponsorship. For more information, click here. The competition can also be followed throughout the year @CrownTradePaint on Twitter, CrownTradePaint on Facebook or Crown Paints on LinkedIn.